Four goals in a 15 minute spell either side of half-time turned this Danske Bank McCormack Cup semi final on its head as Omagh CBS advanced to a decider shootout with St Patrick’s Armagh. For the opening 20 minutes of this encounter at Trillick yesterday afternoon St Michael’s Enniskillen were the dominant force and that was reflected on the score-board as they built up a 0-8 to 0-3 lead. With Brandon Horan and Joe McDade on top in midfield and Caolan Duffy and Ronan McHugh bombing forward from the half back line, the Omagh defence was under intense pressure and Conor Love was wreaking havoc every time he gained possession. In the 21st minute however Daniel Fullerton blasted in a superb goal and when Sean McDonagh added another major within 60 seconds the winners had their noses in front. Enniskillen though hit back with a quality goal from Love but a one point lead at the break was scant reward for their endeavours. The start to the second half was going to be crucial and it was Omagh CBS who got it. The second period was only two minutes old when Mark Hayes burst his way through the Enniskillen defence and while his shot was half blocked by Garrett Cavanagh it still carried enough power to go to the net past keeper Sean McNally. St Michael’s almost responded with a goal of their own but full forward Aaron Tierney was unlucky to see his palmed effort come back off the post. Two minutes later Liam Gray hit the woodwork at the other end of the field but this time the rebound fell kindly for the attacking team with Fullerton grabbing his second goal of the afternoon for a 4-5 to 1-9 advantage. Michael Glynn responded with two frees for Enniskillen but that proved to be their only scores of a disappointing second half for them. Omagh CBS ‘keeper Oran Grimes made a crucial save from Love with ten minutes to go when a goal would have closed the gap to a point. Omagh though finished strongly with McDonagh pointing before the same player found the top left hand corner of the net two minutes from time following good approach play from Hayes. Glynn had opened the scoring for St Michael’s after only 30 seconds and with McDade, Love, Duffy and McHugh all on target they looked capable of upsetting the odds as Omagh struggled to adapt to the pace of the game. Fullerton had kicked Omagh’s first three points and it was his partnership with fellow full forward McDonagh that went a long way to deciding the outcome of this game, the duo hitting 2-3 each. 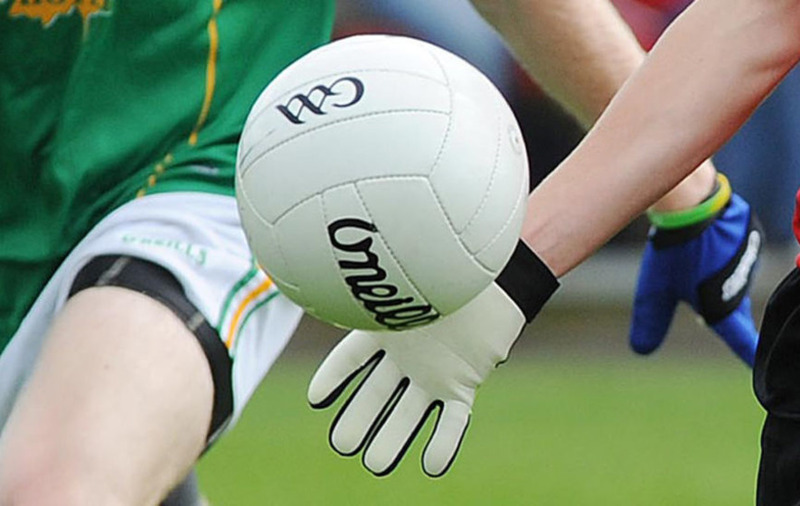 Omagh CBS: O Grimes, T Donaghy, C McBride, R Hollywood, C Colton, A Fox, R Donnelly, L McBride, A Montgomery, E Montgomery, L Gray (0-2, 0-1 free), A McConnell, S McDonagh (2-3), D Fullerton (2-3, 0-1 free), M Hayes (1-0). St Michael’s Enniskillen: S McNally, L Flanagan, G Cavanagh, J Horan, C Duffy (0-1), A Ó Catháin, R McHugh (0-1), B Horan, J McDade (0-1), P McKervey (0-1), M Glynn (0-4, 0-3 frees), J Ellis, C Love (1-3), A Tierney, R McGovern.